Context: With the increased availability of potent combination antiretroviral therapies, the life expectancy of people living with human immunodeficiency virus (PLHIV) has greatly increased. This rapid improvement in lifespan has served as a catalyst for a paradigm shift in human immunodeficiency virus (HIV) care. The focus of HIV care models has transitioned from the sole treatment of acute opportunistic infections to comprehensive management of chronic diseases, such as cardiovascular disease (CVD). Multiple studies have demonstrated that PLHIV are 50% more likely to develop acute myocardial infarction (AMI), compared to the general population. Cardiovascular risk prevention is becoming an essential component of the overarching HIV treatment plan. Aims: This meta-analysis aims to compare the rate of aspirin use for AMI prevention in indicated patients between PLHIV and general population. 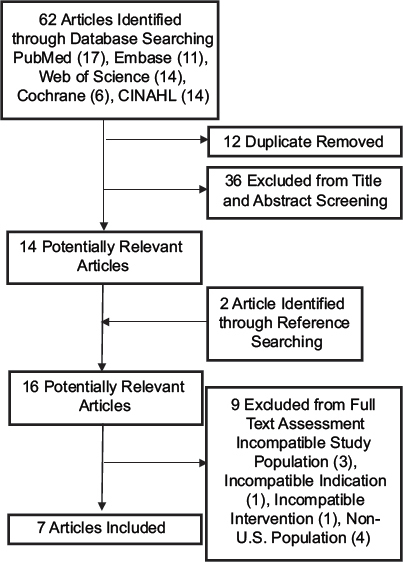 Methods: PubMed, EMBASE, Web of Science, Cochrane Library, CINAHL, and MEDLINE databases were used to identify observational cohort trials. Studies were assessed by two reviewers for inclusion criteria. Two separate random-effects meta-analyses' models were performed using the DerSimonian and Laird method. Heterogeneity was assessed using the I2 value. Meta-regression with study level variables was used to explore potential sources of heterogeneity. The funnel-plot-based trim-and-fill method was applied to detect and adjust for potential publication bias. Statistical tests were two-sided and P< 0.05 was considered statistically significant. Results: A total of 13 studies were included for analysis. In these trials, 30.4% of PLHIV with increased risk for coronary heart disease (CHD) used aspirin for AMI prevention, compared to 36.9% of patients at risk of CHD in the general population. Conclusions: The results of this meta-analysis provide evidence that aspirin is underutilized in both PLHIV and the general population across broad geographical zones. Aspirin use was found to be markedly lower in PLHIV compared to the general population. This is the first study to pool results from regional studies to assess disparities in aspirin use for AMI prevention between PLHIV and the general population across broad geographical zones. Background: Cardiovascular disease (CVD) is mainly attributable to a combination of risk factors (RFs): tobacco use, alcohol use, high blood pressure, diabetes, unhealthy diet, and obesity which are amenable to interventions. Building construction workers are poor and vulnerable. They are also the victims of adverse working environmental conditions and subjected to health hazards of occupational origin. Objective: The aim was to study the RFs and associated sociodemographics for CVD among construction site workers. Materials and Methods: This cross-sectional study was conducted among construction site workers. A total of 172 male workers over the age of 18 years were included in the study. Modified World Health Organization Step-wise approach to chronic disease RF surveillance was used to collect data. The data were analyzed in SPSS version 17 and the Chi-square test was applied to analyze the qualitative data. Results: At least one RF for CVD was present in all the subjects, with majority (93.6%) of them having at least two RFs. The presence of the RFs (moderate to high, 3–11) was found to be significantly associated with lower income group, unskilled workers, migration year <1, alcoholics, personal tobacco use, family history of tobacco use, and the low knowledge score regarding tobacco use (0–2). Conclusions: Community-based comprehensive behavioral and life style communication package should be established for workers to reduce the modifiable RFs of CVD. Context: Cardiovascular disease (CVD) tops the list of the causes of noncommunicable disease mortality, followed by cancers, respiratory diseases, and diabetes. 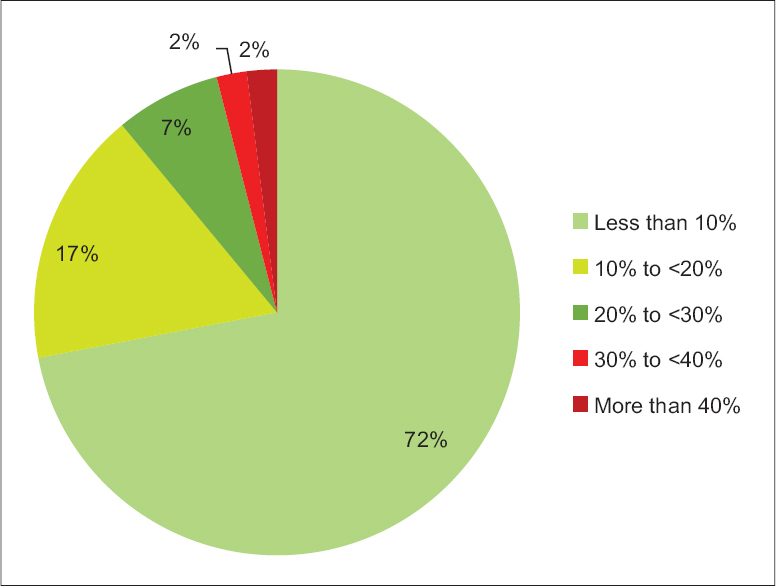 More than 75% of CVD deaths occur in low- and middle-income countries. 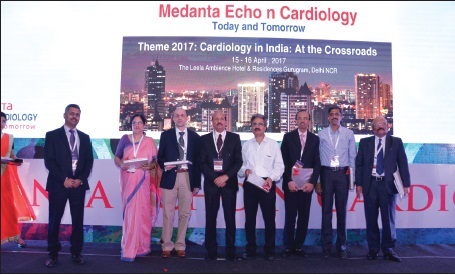 Thus, estimation of the future CVD risk in this population becomes an important step. Aims: The aim is to study the prevalence of risk factors for CVD and to study the 10-year risk for fatal or nonfatal cardiovascular events. Subjects and Methods: A cross-sectional study was conducted at an urban health training center of a tertiary care hospital in Central India. Adults >30 years of age attending the outpatient department were recruited. Patients on long-term steroids, critically ill patients, and pregnant females were excluded from the study. Predesigned and pretested questionnaire was used to collect the data. For individuals above 40 years of age, the 10-year risk for cardiovascular events was estimated using the World Health Organization/International Society of Hypertension risk prediction charts. Results: A total of 243 participants (mean age 51.4 ± 12.2 years; female:male ratio 1.38:1) were included in the study. The prevalence of tobacco chewing (33.3%) and smoking (10.8%) was significantly higher among males compared with females (P < 0.001). The prevalence of hypertension, family history of CVD, overweight, and obesity was higher among females but did not attain statistical significance. The estimated 10-year risk of a cardiovascular event was <10%, 10%–<20%, 20%–<30%, 30%–<40%, and >40% in 72%, 17%, 7%, 2%, and 2% study participants, respectively. Conclusions: We found significantly higher prevalence of males consuming tobacco and smoking as compared to females. About 28% of the eligible study participants had a predicted 10-year cardiovascular risk of 10% or more in our study. This high proportion of elevated cardiovascular risk is a cause of concern and necessitates aggressive preventive efforts. Sedentary lifestyle is one of the major risk factors for cardiovascular disease (CVD). In India, a large percentage of the people are physically inactive with fewer than 10% engaging in recreational physical activity. Physical activity has many beneficial effects on the risk factors for CVD. Apart from improving fitness level, it decreases myocardial oxygen demand and improves myocardial perfusion. There is an inverse association between physical activity and all-cause mortality. In primary prevention, physical inactivity is associated with a two-fold increase in the risk for coronary events. In secondary prevention, data confirm the existence of an inverse dose–response relationship between cardiovascular fitness and the all-cause mortality in large populations of cardiovascular patients. Guidelines from the American authorities as well as the European Society of Cardiology provide specific recommendations for exercise depending on the clinical setting (primary or secondary prevention of CVD) and the patient-specific factors (the patient's physical activity level and the perceived CVD risk). 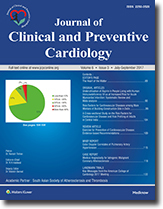 The present review summarizes the clinical evidence regarding the role of exercise in CVD prevention and the exercise recommendations from the leading Cardiac societies. 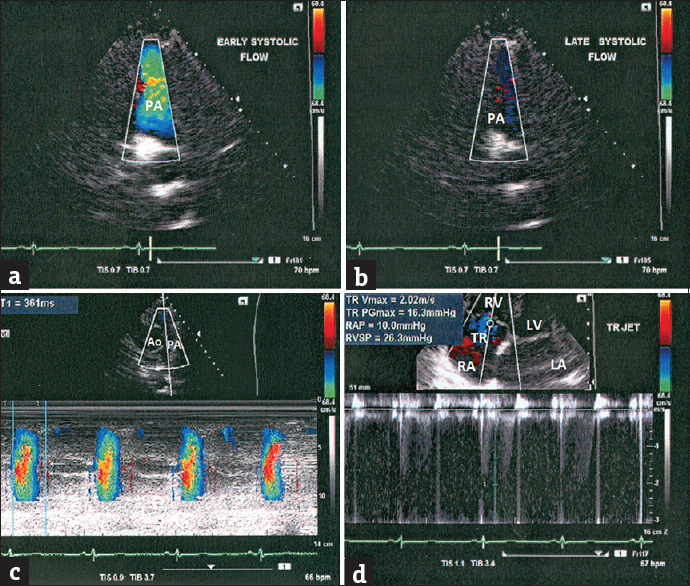 Mild systolic reduction in pulmonary artery flow is an echocardiographic sign of pulmonary artery hypertension. However, at times, it is difficult to appreciate and further grade it into mild, moderate, or severe. We regularly performed color Doppler and color M-mode echocardiography of pulmonary flow and observed that it is easier to interpret and grade the findings. Findings correlate with pulmonary artery pressure evaluated by tricuspid regurgitation jet. Four representative examples are presented. The prevalence of coronary artery disease has drastically increased worldwide. The current guidelines recommend optimized medical therapy as the first-line treatment for stable angina; with revascularization reserved for those whose symptoms persist or progress despite intensive medical therapy. However, in the present world, many patients undergo revascularization as the first-line treatment, despite these recommendations. 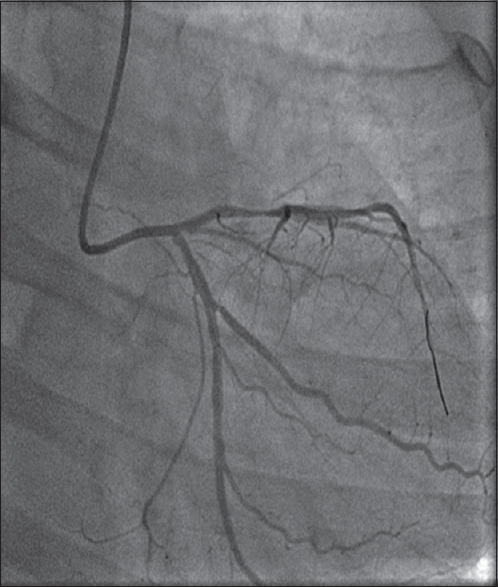 We report the case of a young obese female with stable angina, who underwent percutaneous coronary intervention for single vessel disease. Her symptoms aggravated post-procedure and was later found to have a lesion in the left main coronary artery (LMCA) causing 80% stenosis. In view of significant LMCA disease, she was advised revascularization but was not willing for the same. Hence, she was treated with optimal medical therapy and therapeutic lifestyle changes, which completely resolved her symptoms.